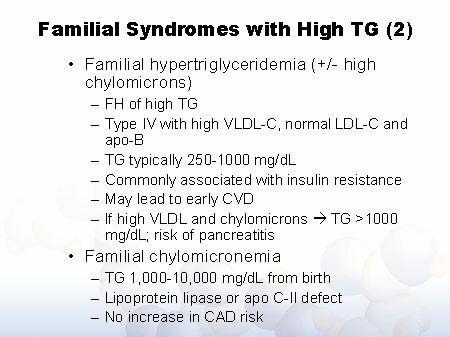 Familial hypertriglyceridemia is a common disorder passed down through families in which the levels of triglycerides in a person’s blood are higher than normal. This condition is not associated with a significant increase in cholesterol levels. Recently I had the opportunity to assist in the treatment of a patient who suffered from familial hypertriglyceridemia. I’m glad I had the opportunity to take part in this case because I really learned a lot from this patient, his conditions, and how all of the components in life can affect the rest of your life and health. The patient was a male, 39 years of age, and was suffering from hypertriglyceridemia. His condition was also exacerbated by his weight, insulin resistance, and alcohol consumption. The patient’s peripheral vascular disease raised suspicion for familial dysbetalipoproteinema. The gentleman was a non-traditional student at a nearby college, majoring in mechanical engineering. He was also married with two daughters. 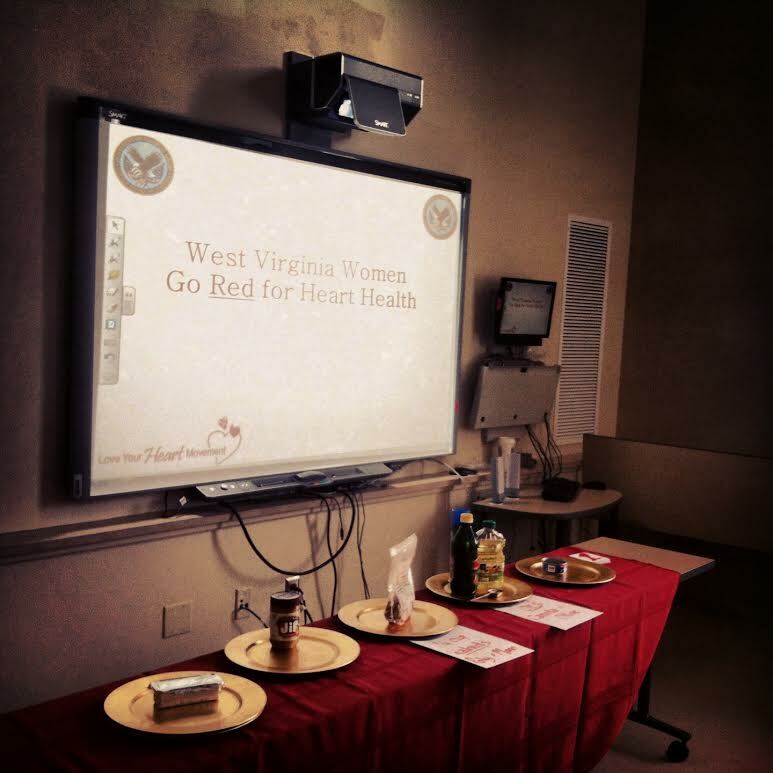 The patient was the main food preparer in the household and was open and willing to learn new ways of cooking (low-fat) for his family. I’ve noticed it’s always important to put the normal range for each lab value because different facilities/healthcare agencies could have different normal ranges, depending on their measuring tools. So after speaking with the patient, learning his diet habits, and hearing about his lifestyle factors, as well as other miscellaneous habits, we developed a few goals for him to strive for. 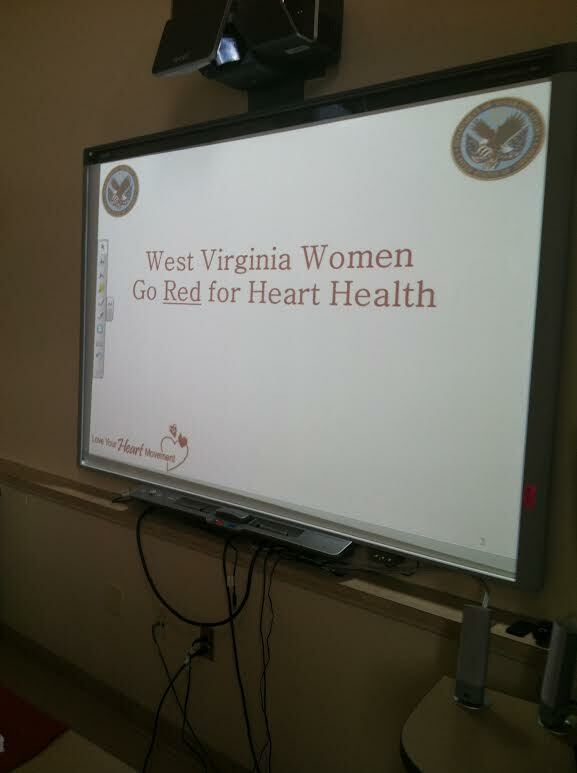 Goal 1: The patient mentioned that he drinks 2-3 cans of soda a week. So, we asked if he can cut that out of his diet. And he said he could. Goal 2: The patient mentioned that he’s very tech savvy so we asked if he could keep a food log on through a Smart phone application. And he said he could. It was clear to me that the patient was at risk for developing pancreatitis from the amount of pressure that his pancreas was experiencing from the fat in his diet. So, to avoid this, we recommended that the patient restrict his fat intake to 15% of his daily energy intake. This is a good starting point for this patient. This way we can work together to get his fat (and protein) levels down and take those important baby steps towards decreasing his fat intake even more, hopefully, in the future. 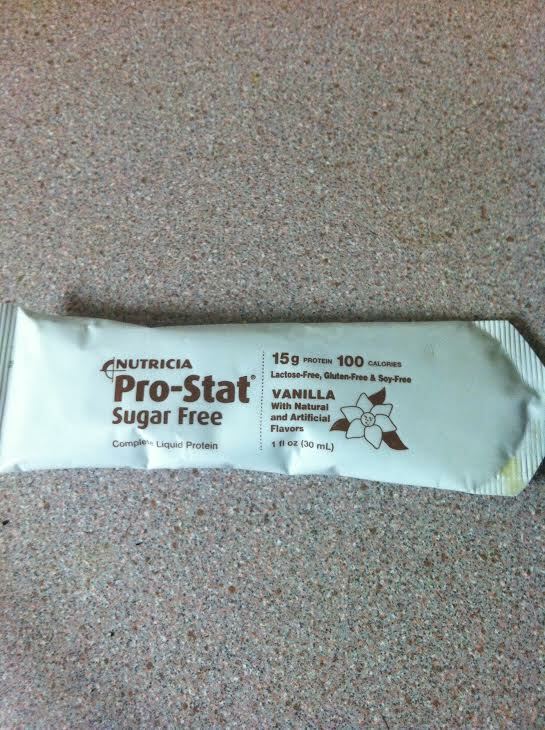 Pro-Stat is a nutritional supplement that I recently became familiar with at my MNT rotations. This supplement is used for patients who are having difficulties gaining weight or consuming energy, in general. This supplement delivers the highest concentration of protein and calories in the smallest serving size. It is ideal for patients with an increased need for protein, have a poor appetite, suffer from pressure ulcers, or who could be experiencing protein-energy malnutrition. Pro-Stat is a complete protein and contains all the essential amino acids while being easy to administer. There is no mixing required and I witnessed the supplement being used with a patient who was on a tube feeding. The patient didn’t seem to mind the supplement, which is rare. A large number of patients who are on tube feedings seem to be very particular about what supplements or formula they are consuming. So, it was to my surprise that the patient who we introduced this supplement to, actually seemed like he enjoyed the protein supplement. Plus, I think it helped that I explained to the patient why we were giving him the supplement and how it would help his health status too. A nasogastric (NG) tube is a special tube that carries food and medicine to the stomach through the nose. 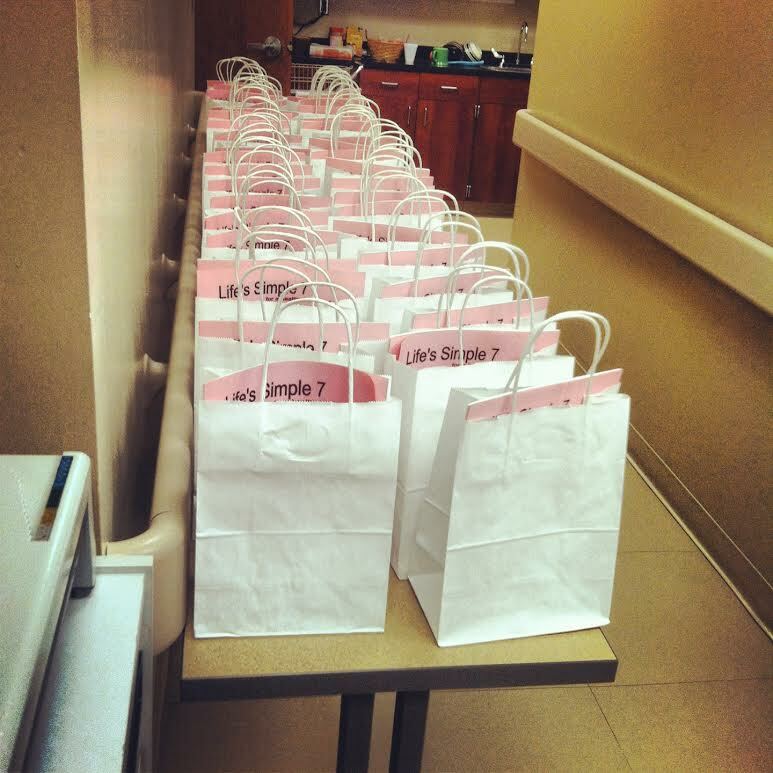 It can be used for all feedings or for giving your patient/client extra calories. 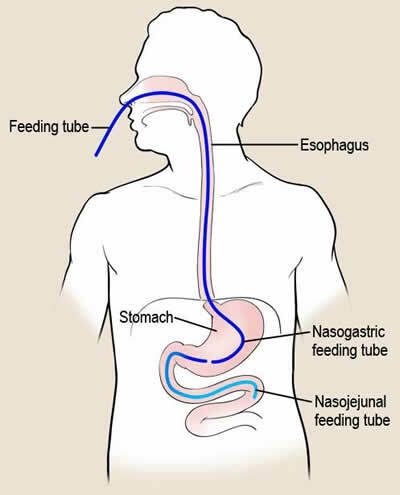 It’s important to take good care of the feeding bag and tubing so that they work properly, as well as the skin around the nostrils so that it does not get irritated.NG tube feedings incorporate a procedure where a thin, plastic tube is inserted through the nostril, down the esophagus, and into the stomach. 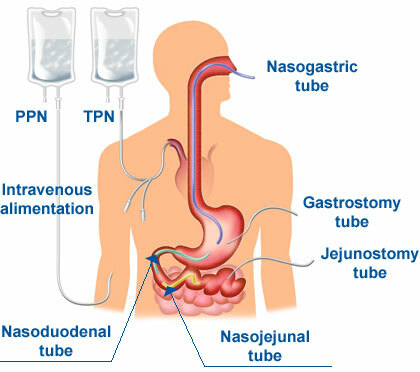 Once the NG tube is in place, healthcare providers can deliver food and medicine directly to the stomach or remove substances from it. Nasogastric tubes are used mainly for short-term support in patients who do not have problems like vomiting, GERD, poor gastric emptying, ileus or intestinal obstruction. Nasogastric tubes can be used for longer term support where other enteral access is not possible or could potentially carry a risk. NG tubes are potentially dangerous in patients who cannot swallow correctly and those who need to be nursed. A patient assessment should always be carried out prior to placement of an NG tube. 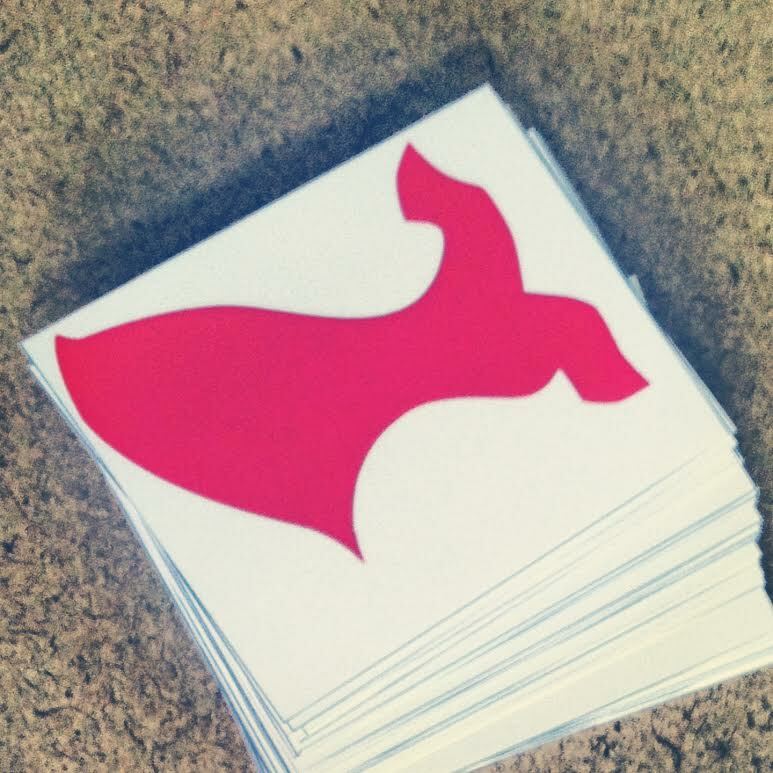 NG tubes are placed by appropriately trained staff like nurses or doctors. There is a small risk that NG tubes can be misplaced on insertion or move out of position at a later stage. Position of NG tubes should be verified on initial placement and before each use. It is recommended that a pH <5.5 is consistent with gastric placement. If aspirate cannot be obtained or the pH is >5.5 feeding should not begin. The NG tube should be left in place, the patient’s position changed and the aspirate re-tested in 1 hour. The feed itself can increase the pH in the stomach, so aspiration should take place at least 1 hour after the feed has been stopped. When a patient cannot eat any or enough food because of an illness or health complication, sometimes other forms of nutrition are required to assist the patient towards better health. 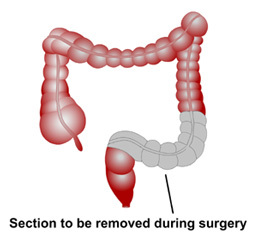 The stomach or bowel may not be working normally, or a person may have had surgery to remove part or all of these organs. When this occurs, and a patient or client is unable to eat, nutrition must be supplied in a different way. One method that can be applied is Parenteral Nutrition. Parenteral Nutrition bypasses the normal digestion in the stomach and bowel. It is a special liquid food mixture given into the blood through an intravenous (IV) catheter (needle in the vein). The mixture contains proteins, carbohydrates, lipids, vitamins and minerals. This special mixture may be called Parenteral Nutrition or Total Parenteral Nutrition (TPN). A special IV catheter will be placed in a large vein in the chest or arm. It can stay in place for as long as needed. Proper care is required to avoid infection and clotting. Different kinds of catheters may be used. Common types of catheters are Peripherally Inserted Central Catheter (PICC), triple lumen, double lumen, or single lumen catheters, and Ports. Nutrition is given through this large vein. Coordinated care, consisting of doctors, nurses, RDs, and pharmacists, will talk with the patient about the different types of catheters prior to administering anything. A Modified Barium Swallow (MBS) test is an X-ray that is taken to check the swallowing skills of a client or patient. I recently observed an MBS in a patient who has been cancer-free for nearly 10 years but, was aspirating when he swallowed certain foods and beverages. The MBS was carried out by a Speech Language Pathologist (SLP) at the facility that I’m rotating at currently. The SLP had previously worked with this patient and mentioned that he had developed fibrous tissue along his esophagus, caused by his radiation treatment several years earlier. This was her initial assessment of the patient’s swallowing problems. 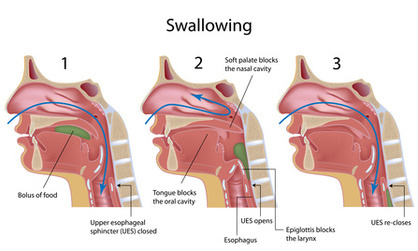 Throughout the test, the mouth, throat, and esophagus are checked to see if there are any visible problems with a patient’s ability to swallow. Before we began the test, the SLP and I put on protective lead vests and a thyroid collar. This was done to shield ourselves from the radiation used in the actual test. Barium is actually a dry, white, chalky powder that is mixed with water to make thick, almost like the consistency of a milkshake. It is an X-ray absorber and appears white on X-ray film. 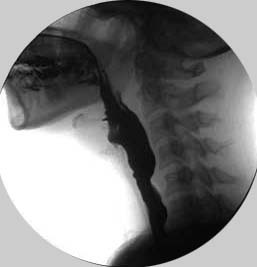 When swallowed, a barium drink coats the inside walls of the pharynx and esophagus so that the swallowing motion, inside wall lining, and size and shape of these organs is visible on X-ray. This process shows differences that might not be seen on standard X-rays. 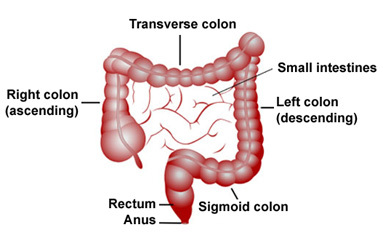 Barium is used only for diagnostic studies of the GI tract. The use of barium with X-rays contributes to the visibility of various characteristics of the pharynx and esophagus. Some abnormalities of the pharynx and/or esophagus that may be detected by a barium swallow include tumors, ulcers, hernias, diverticula (pouches), strictures (narrowing), inflammation, and swallowing difficulties. 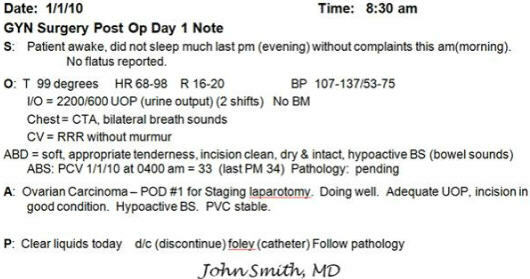 The SLP noted that if she were to have assessed this patient bedside, she probably would have missed that he has aspirating when he swallowed. The MBS really caught the problem that the patient was actually having. It was interesting to see how everything looked through the MBS and to see how problems can go unnoticed. The SLP was really hands-on and pointed out every part of the patient’s anatomy including his epiglottis, esophagus, stomach, tongue, etc. I can honestly say that working with patients who suffer from dysphagia or who are experiencing temporary swallowing problems is really becoming an interest of mine. There’s so many elements that an RD has to take into consideration, for example consistencies of beverages and foods or physiological problems from cancer treatments. This is where the healthcare provider enters all patient information or data collected from the patient or caregiver. This information would also include a diet recall and any food allergies that the patient reports. 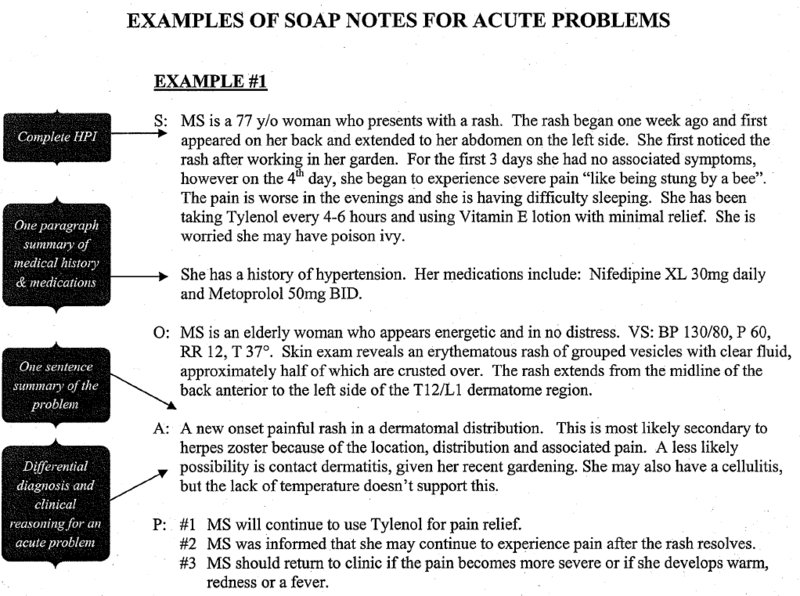 This section is based more on physical evidence about the patient. Information in this section would include height, weight, BMI, weight change over a period of time, labs, PMH, medications currently using, or any other trending values (i.e. : TG levels over the past 6 months). 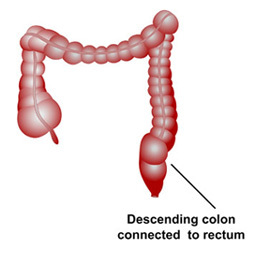 · Altered GI function related to Partial Bowel Obstruction/ileus as evidenced by hypoalbuminemia, parenteral nutrition. · Excessive intake of simple sugars related to consumption of regular sodas and juices as evidenced by food and blood glucose logs. · Inadequate oral food/beverage intake related to decreased appetite due to cancer and treatment as evidenced by dietary recall and unintentional weight loss. 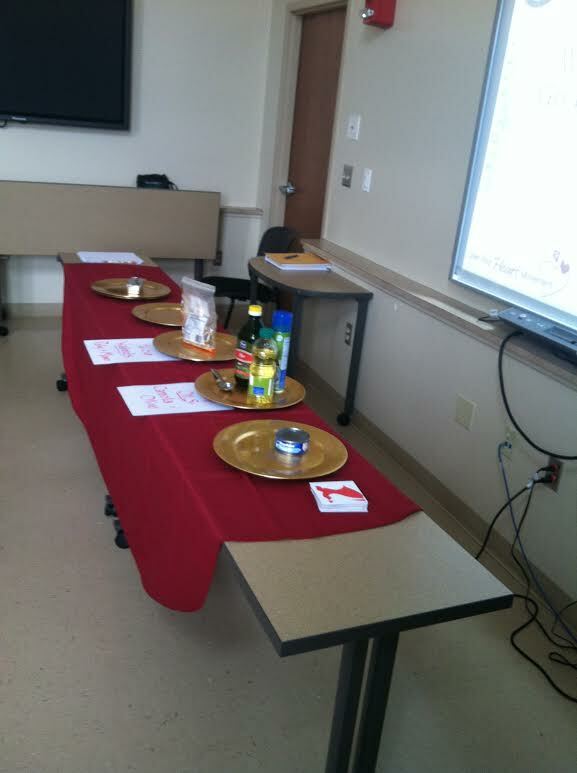 This is the section where an outline of interventions is made necessary to treat the nutrition problems(s). Goals are made, short-term and long-term, using the SMART format. This section also includes information as to how the patient plans on monitoring their progress, when their follow-up consultation should take place, and if any multivitamins are being suggested.